The deep sea diving suit is one of the most important pieces of equipment. It keeps the body warm, protects it from physical hazards, and even increases the body's buoyancy. Often, it is the difference between life and death. In this article, we go over 10 popular suits on the market, covering each of their strengths and weaknesses. We aim to leave you with a comprehensive understanding of each of these products so you can pick the best one for your next diving adventure. 1. What is a Deep Sea Diving Suit? A deep sea diving suit is a garment typically worn during water activities like surfing, diving, windsurfing, canoeing, waterskiing, and others. Deep sea diving suits are normally made by a material called neoprene. Neoprene is a synthetic rubber made from the polymerization of chloroprene. It is known for maintaining chemical stability and flexibility over a wide range of temperatures. Deep sea diving suits are useful in a number of different respects. They are excellent thermal insulators, meaning they are highly effective at trapping body heat. They are also very buoyant and resistant to abrasion. They are able to accomplish all this because of tiny bubbles of gas imbedded into the material. These air bubbles make it more difficult for the suit to conduct heat away from the body. They also make the suit less dense, which creates the buoyancy effect. Diving suits vary in thickness. The thinnest ones are 2 mm thick or less. The thickest ones are around 8 mm thick. If you plan on spending time underwater, you better make sure you bring a diving suit. When you venture the depths, you put yourself at risk of hypothermia and many other dangers. Wearing the proper gear when you go down below can be the difference between life and death. 2. 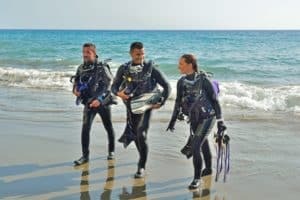 What Are the Different Types of Deep Sea Diving Suits? ​There are three main types of diving suits: the wetsuit, the semi-dry suit, and the drysuit. 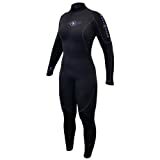 Wetsuits are the most common kind of deep sea diving suit. They typically range from 0.5 and 8 mm and are usually made from neoprene, the rubber polymer mentioned above. Wetsuits trap water between themselves and the wearer's body. It warms up this thin layer of water, creating an insulating thermal barrier over your skin. 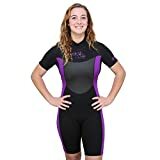 Wetsuits come in a wide variety of models. 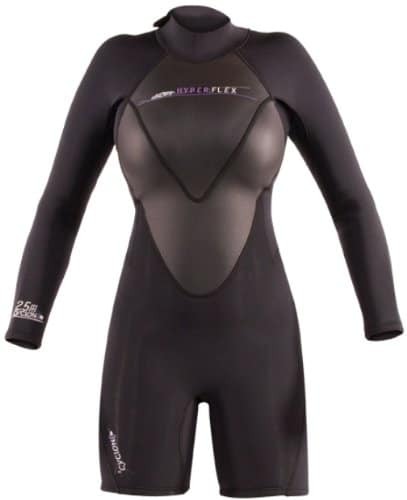 Depending on the manufacturer, you can choose models based on the water temperatures they are suited for, whether you need an entire suit or just a top or bottom, or whether it is intended for men, women, or children. Some kinds close in the back while others close in the front. 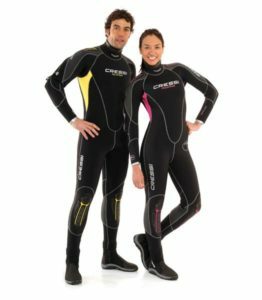 Since these are more popular than the other types of diving suits, you are likely to find a much wider selection of suits to choose from. The semi-dry suit is a wetsuit with minimal to no water trapped between the material and the wearer's skin. 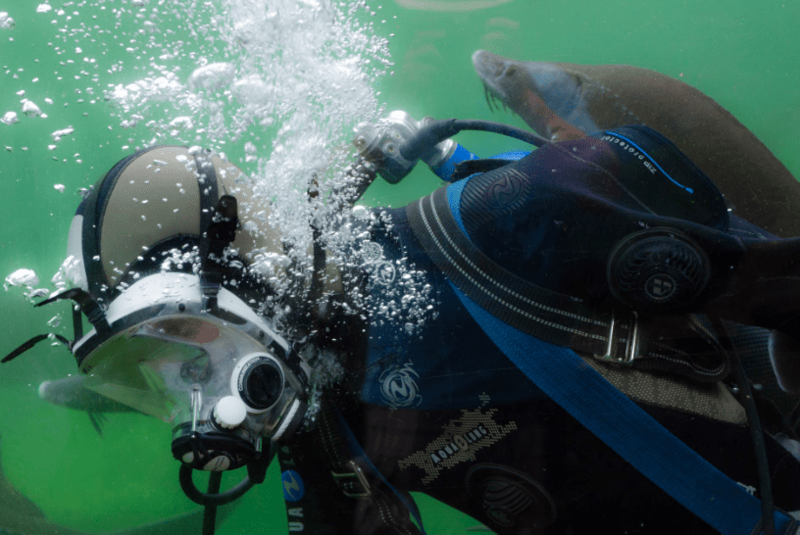 Semi-dry suits are designed with seals around the neck, wrists, and ankles. They also have watertight horizontal back closures. What all of this means is that because there is little or no water circulation within the suit, there is also less energy loss. 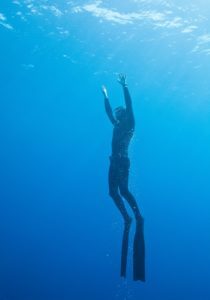 As a result, a semi-dry suit is highly effective at retaining heat, and they are particularly popular among divers in waters of between 10 and 20 degrees Celsius. The slight drawback to the semi-dry suit is that it is more difficult to put one on. Putting one on will require the help of a partner once it comes time to zip up the back. 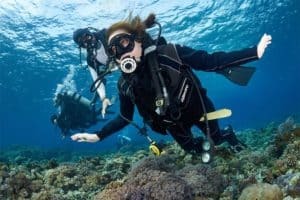 Finally, the dry suit is a unique type of diving suit that allows you to wear clothing underneath. That layer of clothing, the dry suit's material, and an adjustable inner layer of air work together to keep you warm. They are ideal for use in cold waters or during long rebreather dives. The downsides to the dry suit are that it is less durable, requires more maintenance, and is less affordable. When picking out your deep sea diving suit, be sure to consider its thickness. 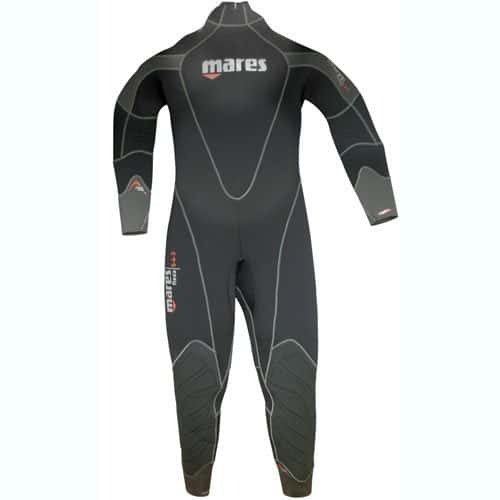 Wetsuits in particular come in a wide variety of thicknesses. They can generally be broken down into 7 mm wetsuits, 5 mm wetsuits, and 3 mm wetsuits. 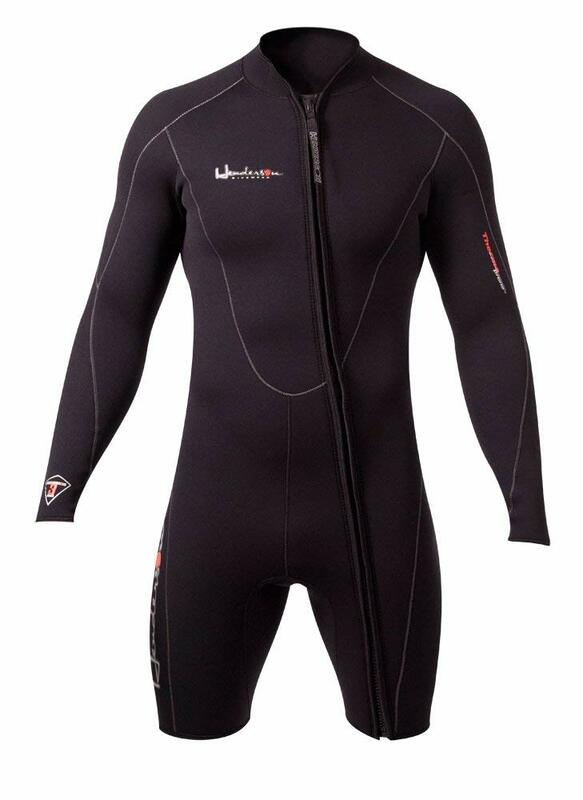 7 mm wetsuits are best suited for diving in waters around 50 to 60 degrees Fahrenheit. 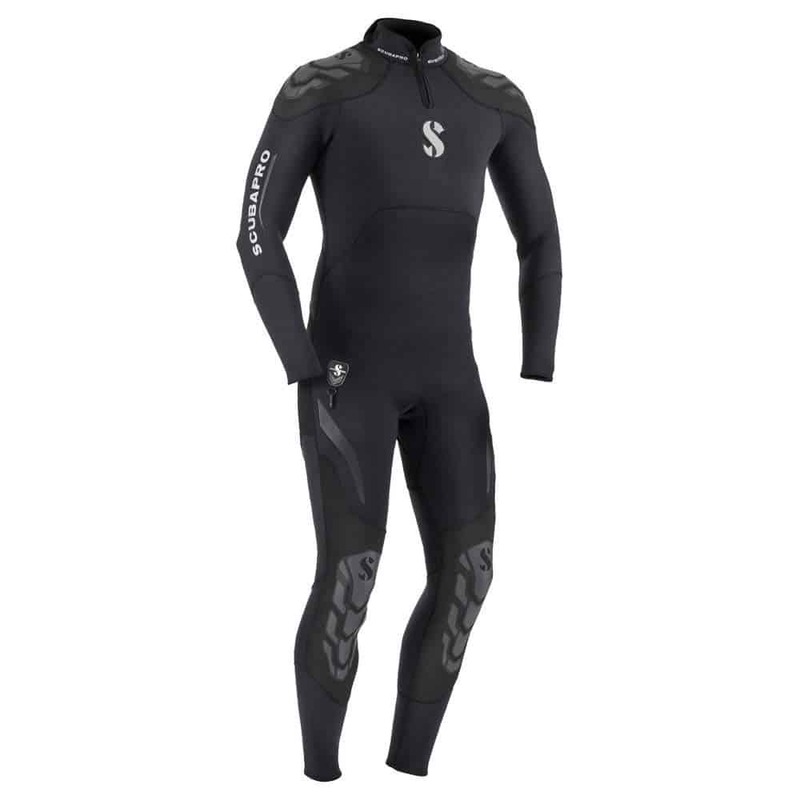 5 mm wetsuits are best in the 60 to 70 degrees Fahrenheit range. 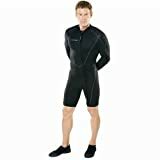 3 mm wetsuits are best for the 70 to 85 degrees Fahrenheit range. 3. What Are Benefits of Wearing a Deep Sea Diving Suit? You might be wondering if you can save yourself a bit of cash and just go diving in your regular swimwear. The answer is a resounding "no." The first benefit of wearing one is thermal insulation. Wearing a deep sea diving suit will keep you warm and prevent you from getting hypothermia. Do not make the mistake of assuming hypothermia is a worst-case scenario you only need to worry about during deep dives into cold waters. Even if the water is in the high 80's, your core body temperature can drop, preventing a major health risk. The second benefit is physical protection. When you are underwater, the temperature is just one danger to contend with. You may also encounter physical hazards, like sharp rocks, coral, jellyfish debris, and more. Wearing a suit will provide an essential layer of protection. The third benefit is increased buoyancy. As mentioned above, these suits are designed to hold tiny air bubbles within their material. These bubbles decrease their density, making it easier for you to float. ​​​Hypothermia is a very real threat to every diver. It is a medical emergency during which your body loses heat faster than it can create it. The ideal body temperature is around 98.6 degrees Fahrenheit, or 37 degrees Celsius. Hypothermia occurs when your body temperature drops below 95 degrees Fahrenheit, or 35 degrees Celsius. ​The danger of hypothermia is that once you begin experiencing symptoms, it becomes incredibly difficult to notice them, as they come on very gradually. That is why you should always dive in groups. If you or someone you know experiences hypothermia, you should immediately take steps to remove yourself or your colleague from the water and raise the body temperature back to normal. 5. Where Can You Buy a Deep Sea Diving Suit? ​You can find one in many sporting goods stores, especially outdoor sporting goods stores. Of course, you can also buy one from one of the many stores dedicated to selling diving gear. These stores are particularly easy to find near the beach. Like most things, suits are also highly available online on sites like Amazon. 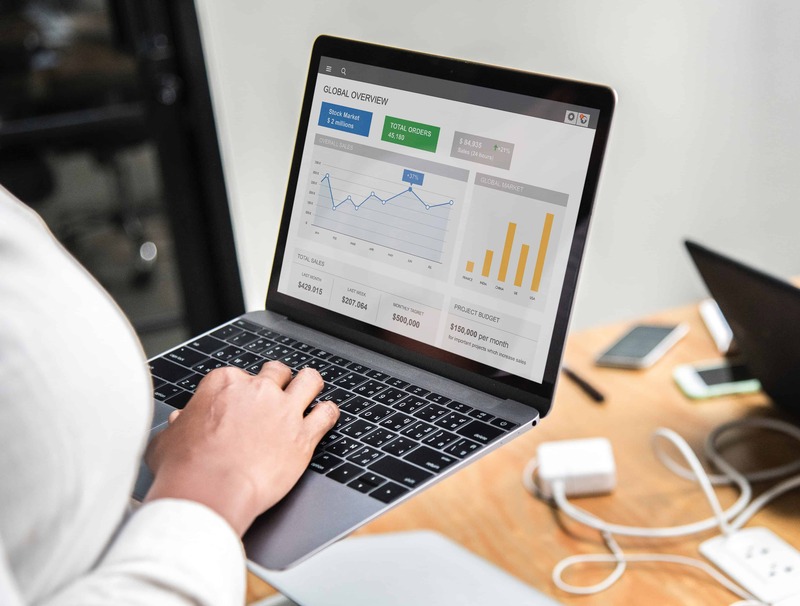 The following products were reviewed based on the following parameters features, pros & cons, Price, where to buy, and warranty. We chose these parameters in order to cover the most important aspects of each product. Deep sea diving suit models ranges vary. The main price determinants include materials, technologies used, brand name, and design quality. The Everflex Steamer is made from 100% Everflex neoprene. It has been constructed with solvent-free water-based glue, making it environmentally friendly. It features the Pure Design Concept, minimizing the number of seams and panels for increased flexibility. This product can be found on Amazon. This deep sea diving suit is made from high-quality nylon 2 neoprene. Its seams are GBS-glued and blind stitched. It has a thickness of 3 mm. The Flexa is made from 100% ultra stretch neoprene. It features a back protection system for increased comfort as well as a plush thermos interior. Its design includes knee pads. 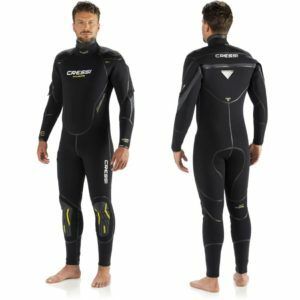 The Cyclone2 is a black deep sea diving suit that comes in sizes 8, 10, 12, and 14. It has a thickness of 3-4 mm and is specially designed for women. The NeoSport is a neoprene suit with a back zipper, an internal key pocket, and an adjustable collar. It is ideal for all water sports, including diving, scuba, paddle boarding, and more. The Bare Velocity is a 5 mm suit designed to stretch 200% more than standard neoprene. It features knee pads, and adjustable velcro collar, and zippered ankles. The XCEL comes with DuraFlex knee panels and seamless Drylock wrist seals. It features an easy on/off ankle zipper system and lightweight inner flaps. Seamless Drylock wrist seals with exclusive "donut seal"
This deep sea diving suit has a 3 mm chest panel and 2 mm side panels. It features flatlock stitching for optimal comfort and durability. It comes with a pull cord for the zipper for your convenience. The Aqua Lung is a 3 mm with optimal stretch and comfort. It comes with a hook and loop adjustable neck, a heavy-duty #10 zipper, and a back zipper water shield. The O'Neill is a deep sea diving suit featuring a back-zip system, ultra stretch neoprene, and blind stitched seams. It comes with wind-resistant FluidFlex Firewall Panels for increased insulation. 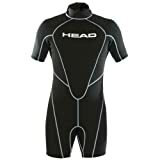 After reviewing these 10 deep sea diving suits, we decided that the best could be none other than the Bare 5mm Velocity. Not only is it incredibly efficient at thermal insulation, but it is also one of the easiest suits to put on and take off. This is a deep sea diving suit that will last you for years to come.